I wonder how I survived when my only son Navin was diagnosed with deadly cancer. We didn't have any choice but to fight it. My son fought it like a hero. It felt like a rebirth. Little did we know that the devil was hiding to attack again. Relapse is harder, I can't bear it. I felt suicidal a lot of time, but the thought that my son will be left alone stopped me. I live only for my son, losing him is losing myself. Two years back Navin had terrible leg pain. He had a high fever for weeks. His hemoglobin dropped to around 5.8 and I could see how pale and anemic he had become in just a few days. It was a horrible sight. 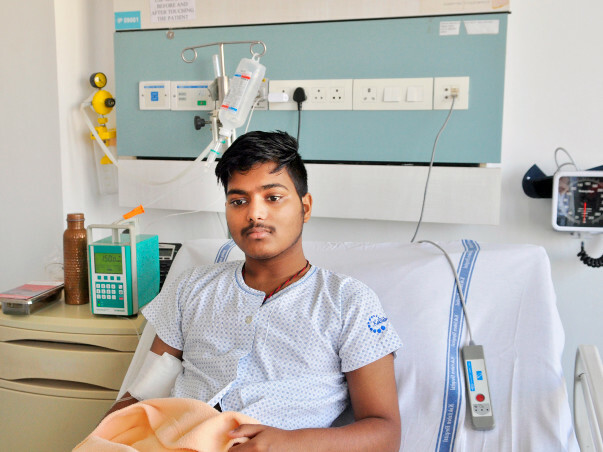 When doctors told that Navin had acute myeloid leukemia, a deadly form of blood cancer, I didn’t speak to anyone for weeks. I just cried all day, all night. 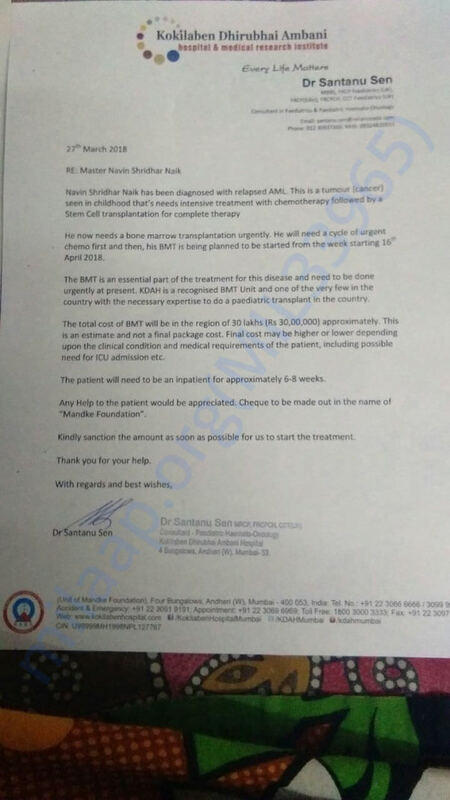 His condition became worse every day and the costs were rising exponentially, I couldn’t handle it. I picked myself up and we did all we could to get him treated. We sold all we had and through friends, and family we spent around Rs. 11 lakhs. He went through 6 brutal months of intense chemo. His condition was critical, after every cycle, he needed 20-25 bags of platelets. We were finally relieved when he defeated cancer completely. Our happiness was short -lived. We were slowly getting back to our normal life, he seemed to be fine. It was just 2 years, suddenly, the familiar symptoms occurred again and our nightmares began. Dreadful cancer has relapsed. I was devastated beyond words, I became numb. I could hardly eat or sleep. I lost 6 kilos in 2 months. It’s so hard for me to watch him suffer all over again. Now, he’s undergoing chemo but he also has an extremely high fever, gets loose motions and he’s unable to even walk without support. He takes 15 tablets a day but they're not enough. 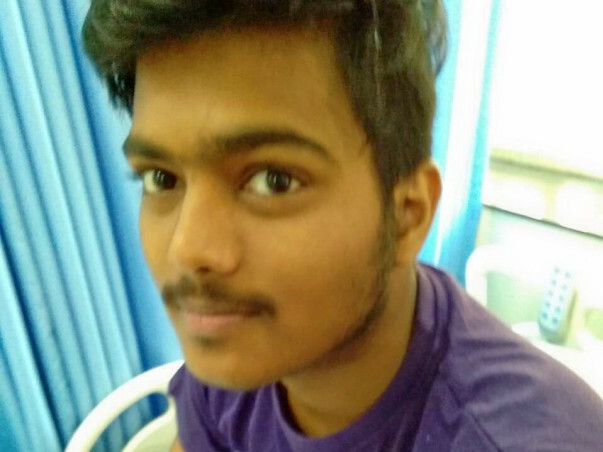 Now, his only option is to have an urgent bone marrow transplant.My husband Shreedhar is going to be the donor but this surgery is so expensive. He works as a waiter in a hotel and earns around Rs. 12,000 every month. I used to work as a receptionist but Navin was so sick in 2016 that I had to quit and look after him. His father quit for a while too. Those days were so hard for us and it seems like the world has come crashing down once again. Now, times are so tough that we can't afford to pay rent. Just the first 3 weeks of the hospital have cost around Rs. 13 lakhs. My brother sold off some of his property and we’ve given a deposit of Rs. 4 lakhs. My friends and family are helping me but the transplant costs around Rs. 30 lakhs and we have absolutely nothing. If he doesn’t undergo the transplant in time, my nightmares will come true, and I can't bear to lose my only son. He deserves a life. Radha is desperate to save her 15-year-old son, Navin, who has relapsed after fighting so hard to defeat a deadly form of blood cancer. 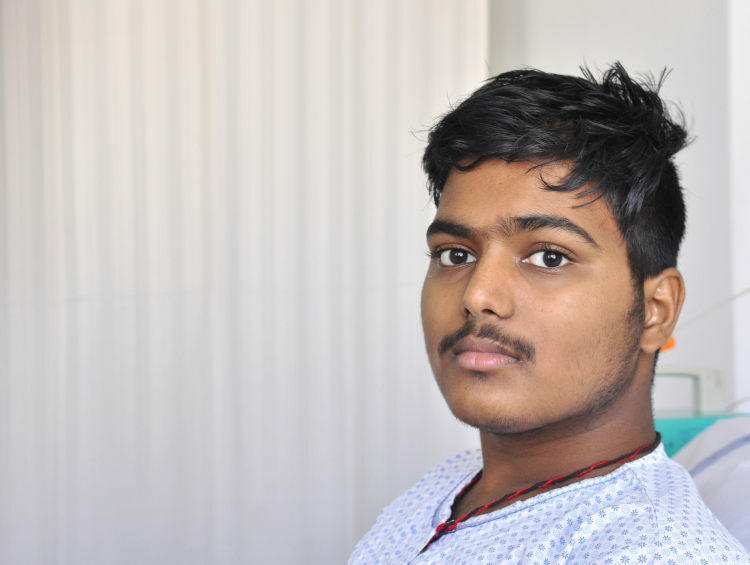 His condition is so critical that he needs a bone marrow transplant immediately. 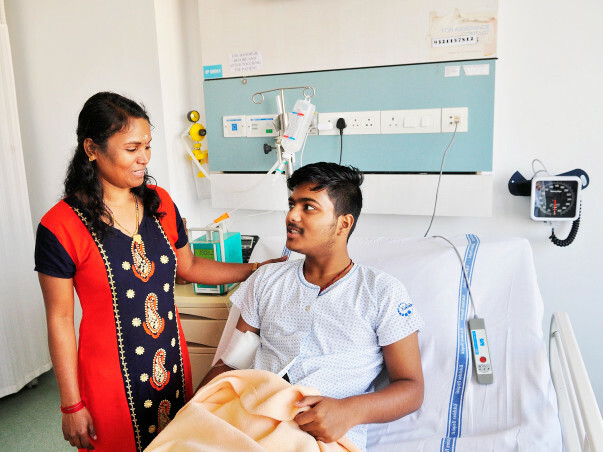 Radha and her husband need your support to save their son.